The new bridge over the Hoover Dam is sensational. 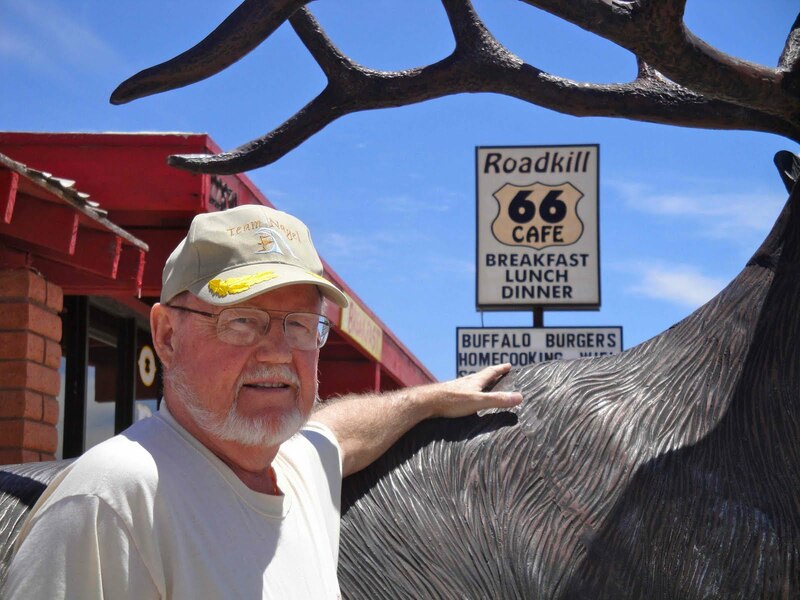 We fueled up on some tasty roadkill on the old Route 66. Arizona's scenery is eye-candy of the finest sort. Our first non-paved ride turned out to be another beauty. 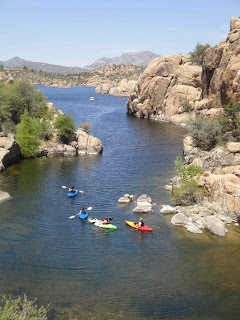 Just minutes from the Point Rocks RV site, we set out at 7:30 for Lake Watson and the Peavine Trail, connected to the Iron King Trail, and finally to the Prescott Valley trail thanks to a helpful rider who showed us the way. 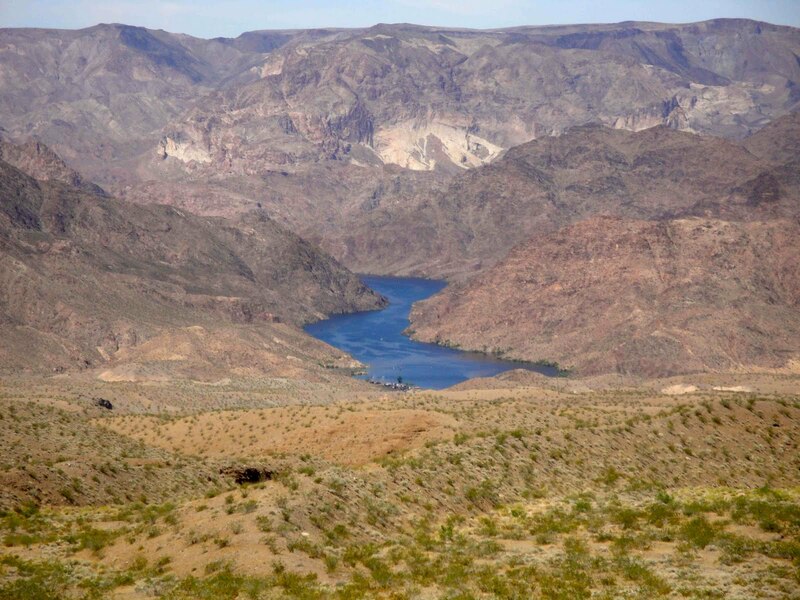 A full 31 miler out and back, but the reward wasn't in the numbers, it was the beautiful setting and friendly walkers and bikers we encountered that make this ride so special. 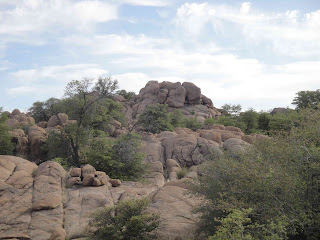 Oh, and the weather was unbelievable! 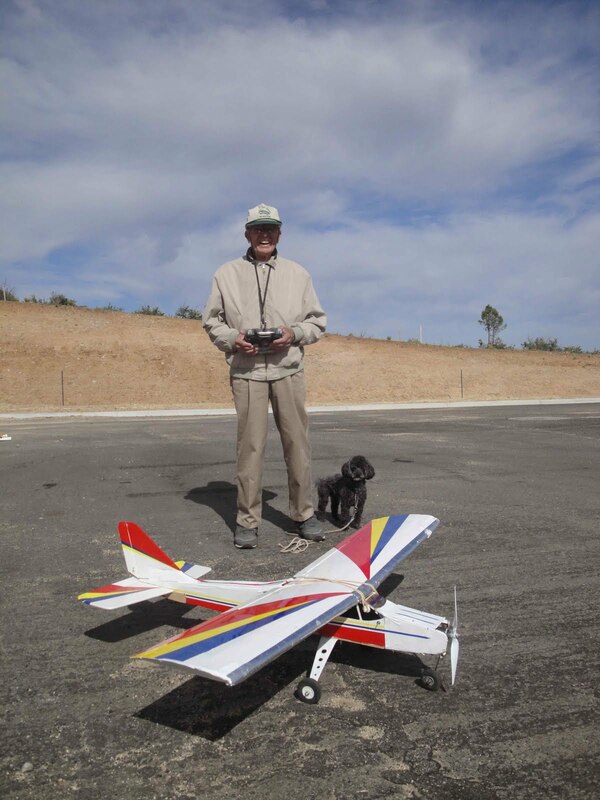 Retired oceanographer and former Hawaii resident, Ted Ryan is about to send his radio-controlled plane up for a spin. 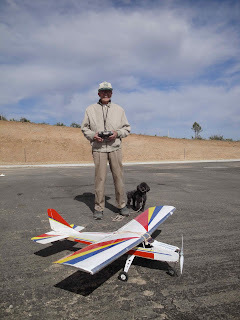 The 90 year old Ryan and sidekick Pierre the Poodle like to use the idle roadway at the end of Prescott's Iron King Trail for a runway. 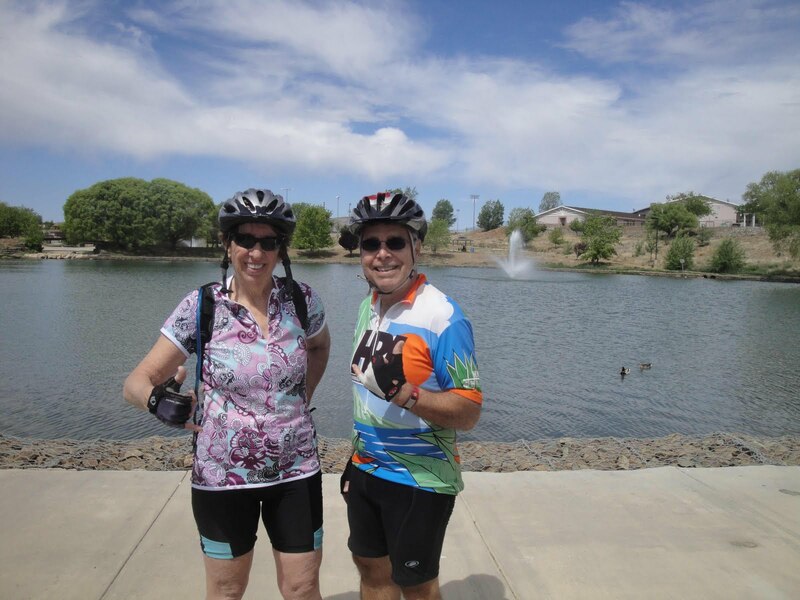 Dr. Judy, another former Honoluluan, is an avid mountain biker and came to our aid when we needed to add 8 km to our route to hit the magic number. 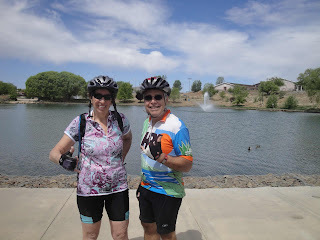 She took us to the end of the Prescott Valley trail that ends at a pretty little suburban lake. 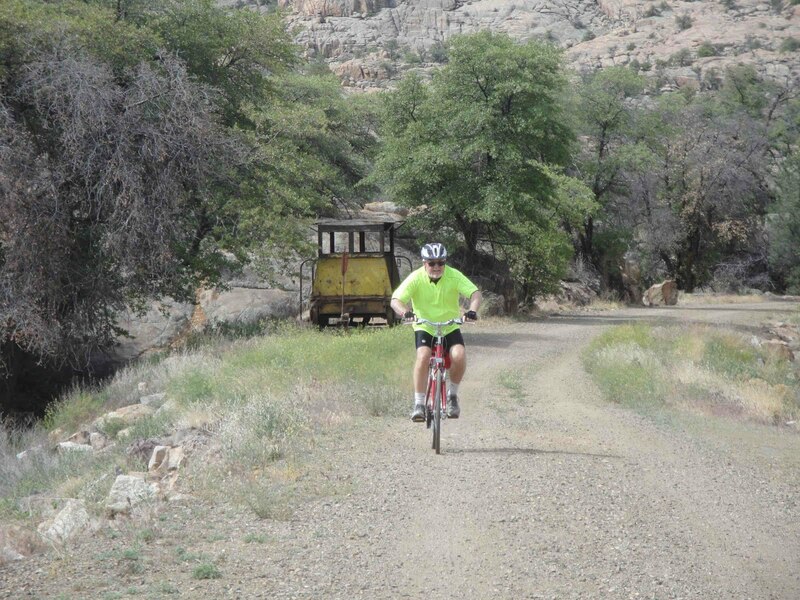 The Iron King Trail is an R2T winner. Notwithstanding the rail car artifacts on display, we believe the trail was named for the intrepid Mr. Nick.